The 2017 CR-V was officially revealed yesterday in Detroit. It brings a great mix of classic CR-V features, but with obvious upgrades where it counts. Critics have been excited to report that the 2017 CR-V brings the return of the volume knob on the dashboard! In addition, this is the first CR-V to come equipped with a turbocharged engine. The 2017 CR-V will be larger than previous years. The overall length has increased from 179.4 inches to 180.6 inches, and the overall width has increased from 71.6 inches to 73.0 inches. The rear legroom has also been increased by 2 inches. The addition of a turbocharged engine is one of the CR-V’s most exciting changes. The EX trim levels and above will come equipped with a 1.5L, 190 horsepower, turbocharged engine with Continuously Variable Transmission (CVT). Honda has not yet revealed the expected fuel economy for the 2017 CR-V. The 2017 CR-V is expected to have four trim levels; the LX, EX, EX-L, and Touring. 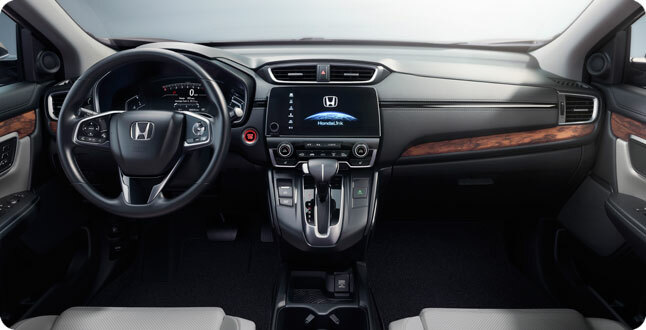 The Honda Sensing group of safety features, alloy wheels, Apple CarPlay, and Android Auto will be standard features across trim levels. The EX trim level is reported to come with heated front seats, a 7 inch infotainment screen, a power driver’s seat, a power moonroof, proximity key entry, dual-zone climate control, tinted windows, and fog lights. The EX-L adds a leather interior, driver’s seat position memory, a power passenger seat, an eight speaker audio system, and an optional navigation system. The Touring trim level adds a power liftgate, heated rear seats, LED headlamps, a nine speaker audio system, and the Honda Satellite Linked Navigation System. Honda has not revealed the release date of the 2017 CR-V yet, but we will post updates as we receive more details! If you have any questions about the 2017 CR-V, click here to contact us! If you would like to see pictures of the 2016 CR-V, click here! 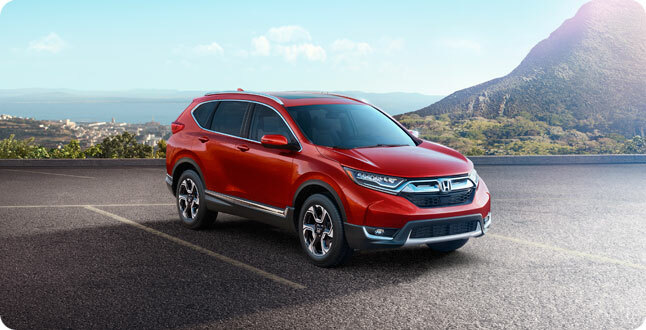 If you would like to learn about the 2016 CR-V’s review history, click here! Follow us on Instagram @thedowhonda!